Blenheim Palace is embarking on a rescue plan which will cost in the region of £12m to safeguard the future of its iconic Capability Brown landscaped grounds. Dubbed the finest view in England by Winston Churchill’s father, the vista across the lake and over the Vanbrugh-designed Grand Bridge to the 18th century Baroque Palace is under serious threat of disappearing. Decades of silt have meant both the Queen’s Pool and main lake have become so shallow they are at risk of drying out completely. The Grand Bridge, which spans the lakes, is now 300 years old and also in need of some repair which will be carried out at the same time. Now the UNESCO World Heritage Site and Churchill birthplace has enlisted the help of a team of environmental consultants and civil engineers to help save the view. Initial work this autumn will see special siphons and groundwater wells being installed, dams constructed across part of the lake and the water level dropped by up to two metres. This will enable the team to inspect the foundations of the bridge and assess how they will react to being unsupported by water. 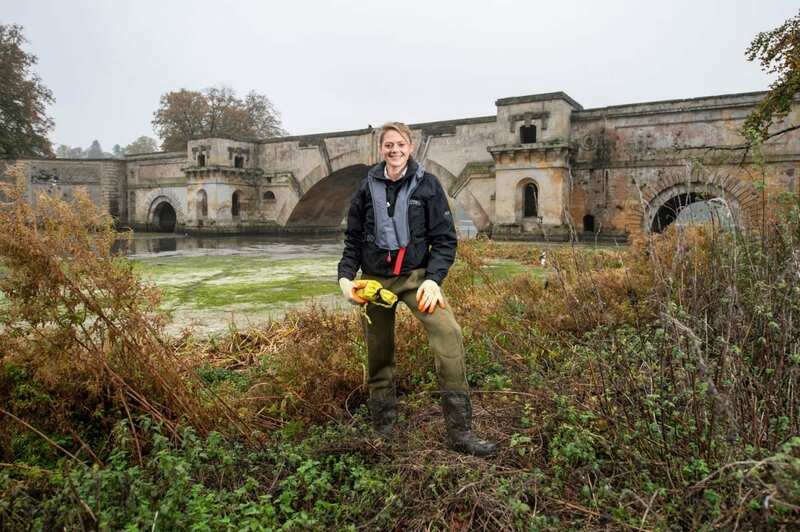 “The dredging of Queen’s Pool and the repairs to the Grand Bridge are not only our greatest challenge to date but also marks some of the most ambitious stonework and dredging projects ever attempted in the UK,” said Blenheim’s Head of Estates Roy Cox. However without this radical intervention this internationally-renowned view would be lost forever. “After four years of planning it is great to see the first phase of the project begin. If all goes according to schedule this initial investigation will enable us to draw up detailed plans for the main work, which is likely to begin towards the end of next year and into 2020,” he added. As well as restoring the lakes to their original 18th century condition the works will also reveal areas of the Grand Bridge which have been underwater since they were flooded by Capability Brown. Flooded rooms within the bridge will become temporarily accessible again and many archaeological features – including the original layout of a canal system which pre-dated the bridge – may also become visible for the first time in centuries. The dredging is part of a far-reaching report outlining Blenheim’s World Heritage Site management plan over the next decade. The document lays out a clear vision for the sustainable future of the WHS at Blenheim Palace and incorporates key aspects of the management, maintenance and running of the Estate. The dredging project is being funded by a number of sources, including visitor admissions income, gift aid donations and the proceeds of development on Blenheim Estate land. 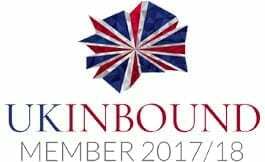 For more information and to donate go to www.blenheimpalace.com/savingthefinestview . For more information please contact: Melodie Manners | melodie@flamingo-marketing.co.uk | 01637 873379 or 07815 709548.